EPIC Behavioral Healthcare offers open enrollment walk-in, intake appointments to assess the need for substance abuse and mental health services, for both adults and children. This is on a FIRST COME – FIRST SERVE basis (number of intakes is based on counselor availability). All intake paperwork is now online! 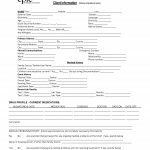 Click here or the picture below, to print off your paperwork ahead of time, and fill it out before you visit our offices. Intakes will be done in the order of sign-ups. You may have to wait for your intake, but if you’re on the list, you will be seen that day. Payment options include: most commercial insurances, Medicaid, self-pay and sliding fee arrangements. If you plan to use your insurance for payment, please call ahead to confirm that we accept your provider. If we do not, other payment options will be discussed at that time. Accommodations are available for disabled or deaf/hard of hearing/impaired clients. For assistance, please call (904) 829-2273, ext. 7016.